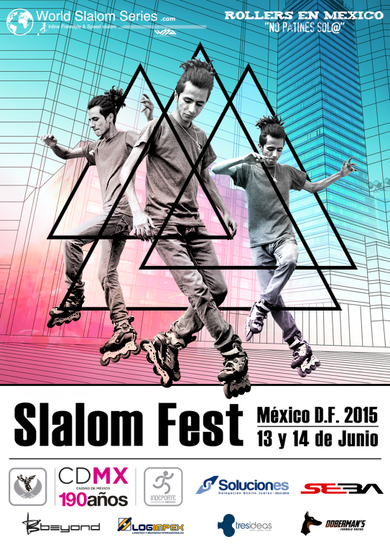 The biggest competition of North America, the "Slalom Fest" event, was held on June 13th - 14th in Mexico D.F. 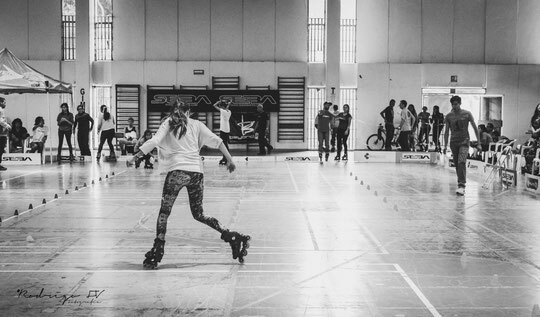 This fourth edition gathered many local skaters plus some special guests from Argentina and even from France to compete in the Speed Slalom, Freestyle Classic and Battle disciplines. Only four girls were competing for the victory in Classic. 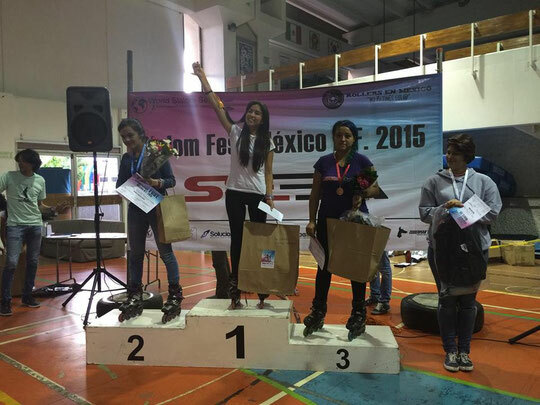 Carolina Villavicencio Sandoval (Mex, #18) repeated her result from last year and won the Classic competition. There were no doubts for the judges and all of them put Carolina on the first place. 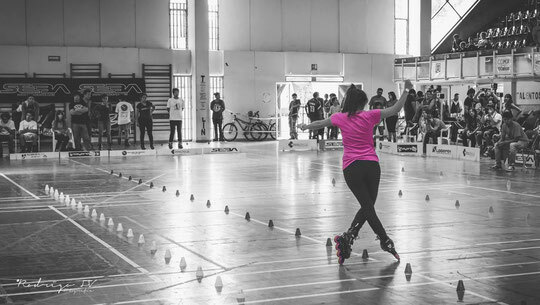 Leticia Samantha Mogrovejo Cisneros (Mex, #128), kicked too many cones but was still good enough to finish second, just like one year ago. 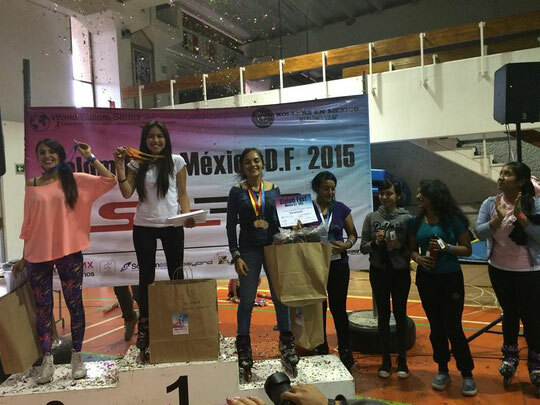 Maria Jessica Retana Rodriguez (Mex, #142) finished at the third place of the podium. The newcomer, Sahagún Aranza Ruizde Velazco (Mex) ended up fourth. Men's Classic competition was bigger in terms of participants, and gathered 23 skaters. Ricardo Batiz López (Mex, #16) repeated his victory from the past year and took the first place, beating his better world-ranked opponent from France, Alexandre Claris (Fra, #4). Both of them were very close for the judges but finally the victory went to Ricardo. 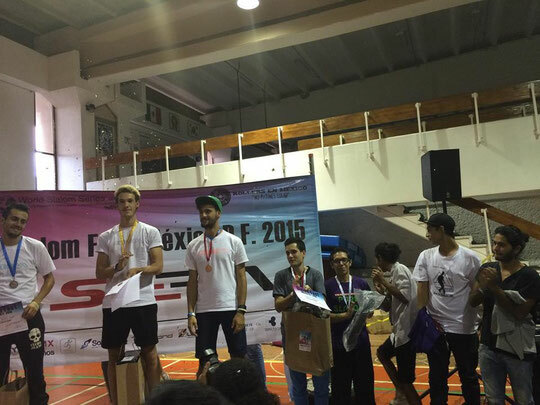 Mariano Amoroso (Arg, #57) repeated his previous result and finished third. 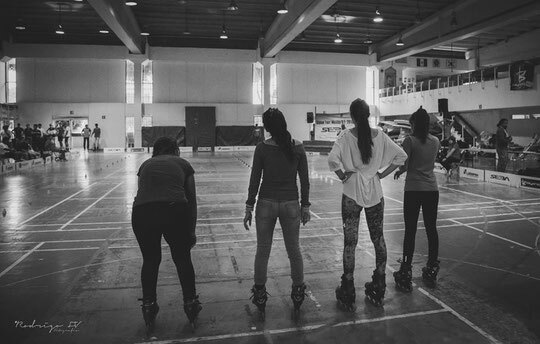 12 girls took part in the Battle competition and they repeated exactly the same Top-4 Podium as last year. Carolina Villavicencio Sandoval (Mex, #18) added another victory to her collection and left Ana Gabriela Ramos Uribe (Mex, #126) at the second place. Silver winner of the Classic, Leticia Samantha Mogrovejo Cisneros (Mex, #128) took the third place in the big Battle final. Maria Jessica Retana Rodriguez (Mex, #142) finished fourth. 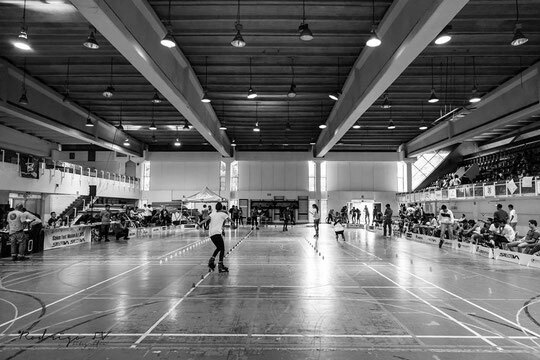 Men's Battle gathered 37 skaters this year. French skater, Alexandre Claris (Fra, #4) won the big final. 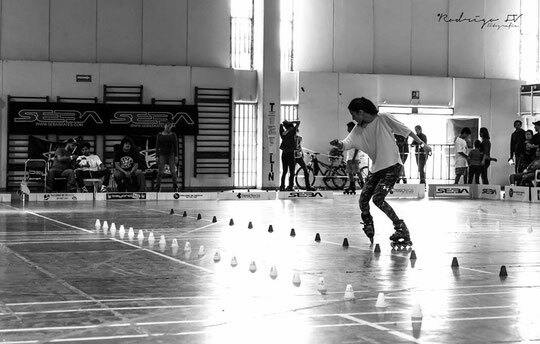 Battle winner of the previous year, Ricardo Batiz López (Mex, #16) finished right after him. Gonzalo Javier Cobo (Arg, #29), who was second last year, took the third place this time, leaving Mariano Amoroso (Arg, #57) at the fourth, allowing him to improve his last year's result from the 7th place to the 4th. 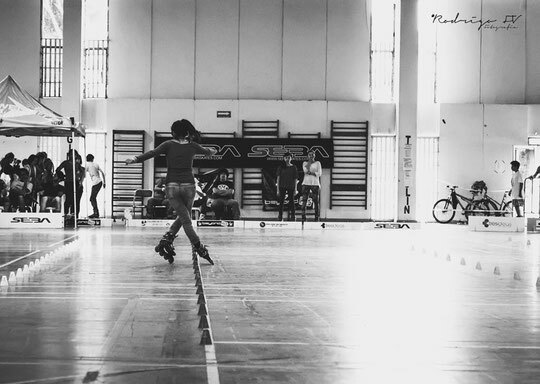 5 skaters were there for the Women's Speed Slalom competition. 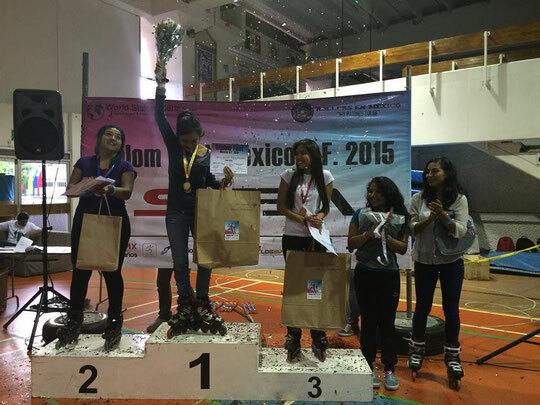 Leticia Samantha Mogrovejo Cisneros (Mex, #131), who showed the best qualification time (6,080 sec), won the big final just like one year ago. She beat Maria Jessica Retana Rodriguez (Mex, #149) who took the second place and improved her results from last year, when she was third. The small final victory went to Carolina Villavicencio Sandoval (Mex, #21). She was second last year and this time she won the consolation final in front of Lilian Nayeli Maza Reyes (Mex, #508), who took the fourth place. 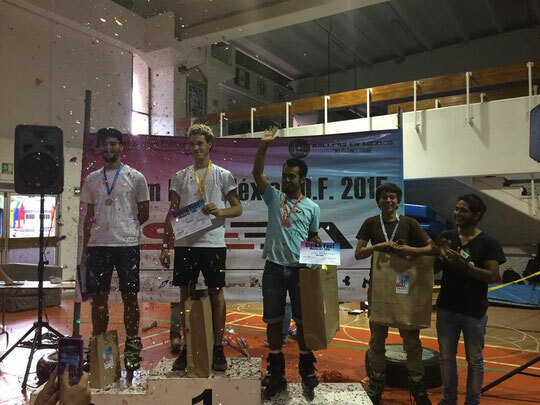 Battle's winner, Alexandre Claris (Fra, #5) showed the best qualification time (5,021) and got another victory in front Gonzalo Javier Cobo (Arg, #31), who repeated his result from the past year and took the second place. 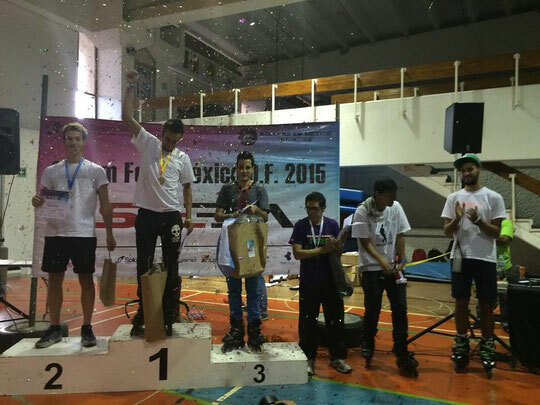 Last year's winner, Jonathan Mogrovejo Cisneros (Mex, #174) won the consolation final this time, leaving Luis Fernando Aguilar Millán (Mex, #287) on the fourth position, just like one year ago.